A complimentary hot continental breakfast with a good selection of foods is served in the spacious breakfast area from 6:00 am to 10:00 am each day. Enjoy a dip in our indoor large pool, kiddie pool and hot tub. The indoor pool and recreation area is located in the "Red Barn," and the hot tub is at the base of our "silo," surrounded by a barn mural painted by our very own staff members! Play a game of pig or knock-out in our indoor 1/4 court basketball area! Equipment is available at the front desk. Challenge a friend or family member to a game of ping pong in the recreation room across from the indoor pool. Equipment available at the front desk. Get your workout on in our fitness center, open 24 hours to guests. Bring your laptop and tablets, and connect to our free WiFi during your stay. 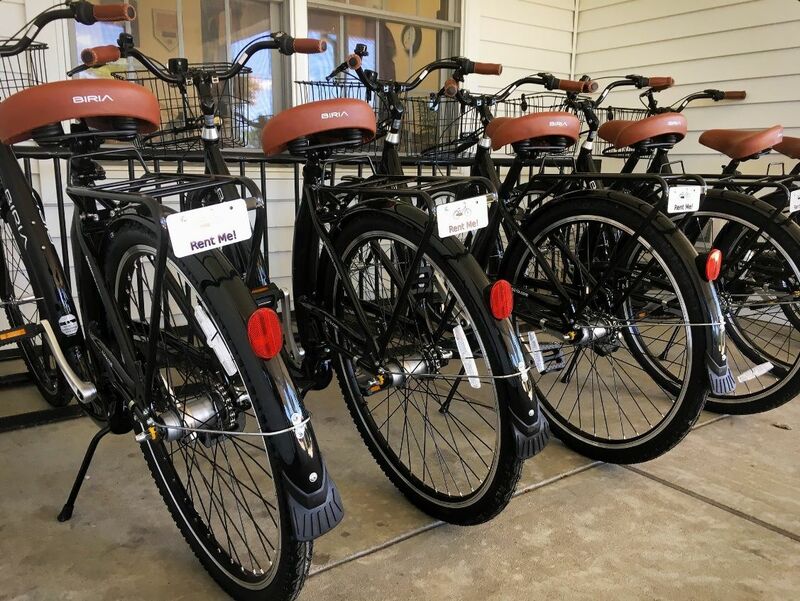 Guests can rent bikes with the front desk to ride around town, or take a scenic tour on the Pumpkinvine Trail! Bikes are rented in partnership with Shipshewana Bike Rental. Curl up with a good book in front of our many fireplaces in areas throughout the hotel. Find quiet places to rest and relax, or to start a game of cards.